THE Indian Army is planning to use a modified version of the AK-203 assault rifle in carbine role for its troops deployed during counter-insurgency operations in Jammu and Kashmir. 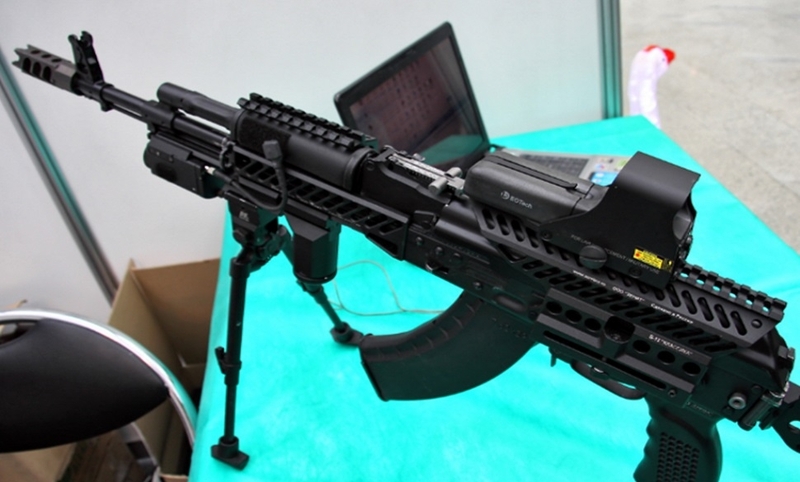 The AK-203 assault rifle would be manufactured at Uttar Pradesh’s Amethi facility in a joint venture between the Ordnance Factory Board and Russia. “Efforts are under process to acquire 93,000 carbines and the Defence Ministry has formed an oversight committee to look into the case.” A senior LG-rank officer has been appointed as the member of the committee including other members from the Defence Ministry and the DRDO. The Defence Ministry is expected to take a call once the oversight committee submits its report. The Central Government has already finalised contracts for buying two types of modern assault rifles for the Army. The Government is also thinking to meet the requirement of carbines through foreign vendors initially and then through ‘Make in India’ programme under which more than three lakh carbines would be manufactured at an Indian facility.